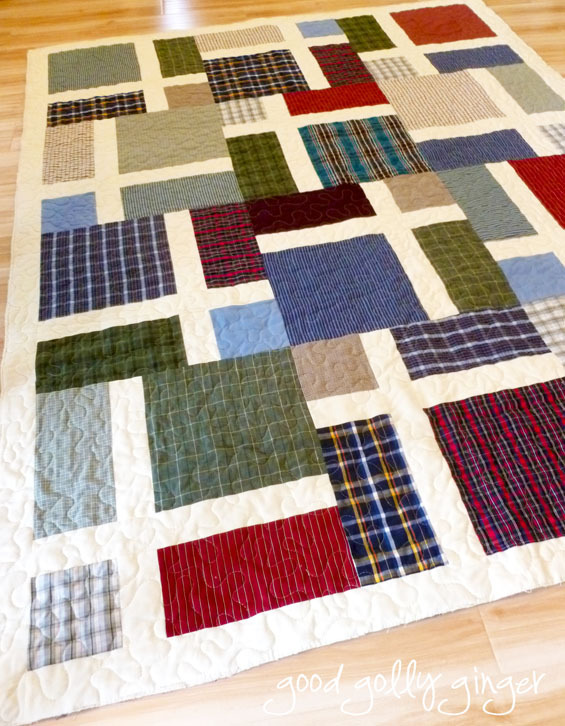 Kay Kennedy made two gorgeous memory quilts. After she finished making the quilts, she asked me to machine quilt them with an all-over meander design. I love this quilt, and I especially love how Kay used the blue minky along the border. The thread blends into the minky so only the texture of the stitching can be seen. I straight stitched in the center star. Kay did a great job designing by offsetting the star. Kay also made a second quilt with the same fabrics from the first quilt. Wonderful use of scraps! Never waste a good shirt, right? On the back of this quilt is this wonderful and plush minky. Seriously, this stuff is lush! 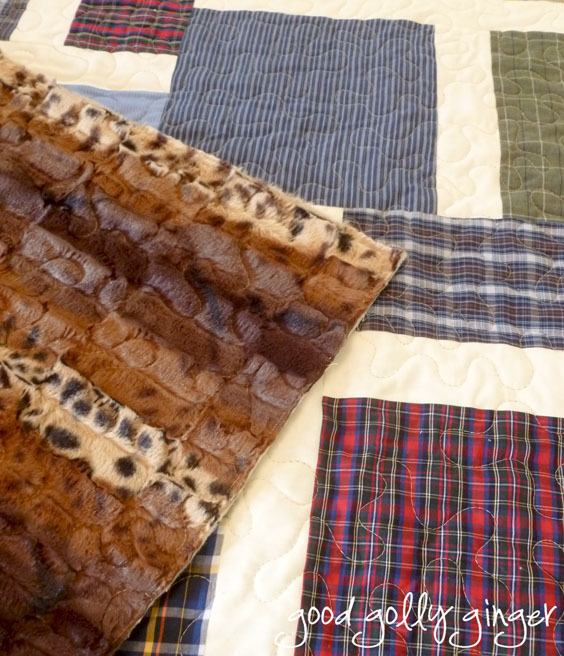 Whoever receives this quilt will be wrapped up in bear fur! As with the other minky fabric, I love how only the texture of the quilting shows. 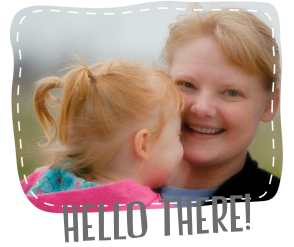 Thank you so much for letting me quilt your precious quilts Kay! Lovely quilts! 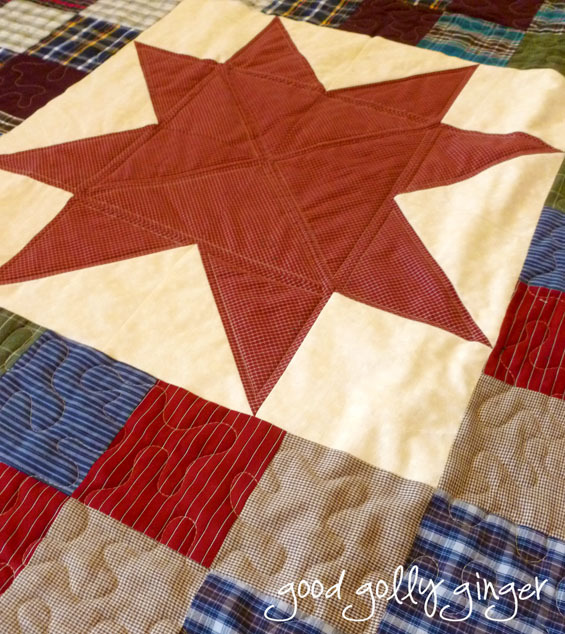 I like how you quilted the star differently. Thank you Katie for the great job of quilting you did with my precious quilts. They turned out better than I imagined. Even though I sewed dress shits years ago, I had forgotten how much fabric is in them to work with!! I can't take credit for the star placement. 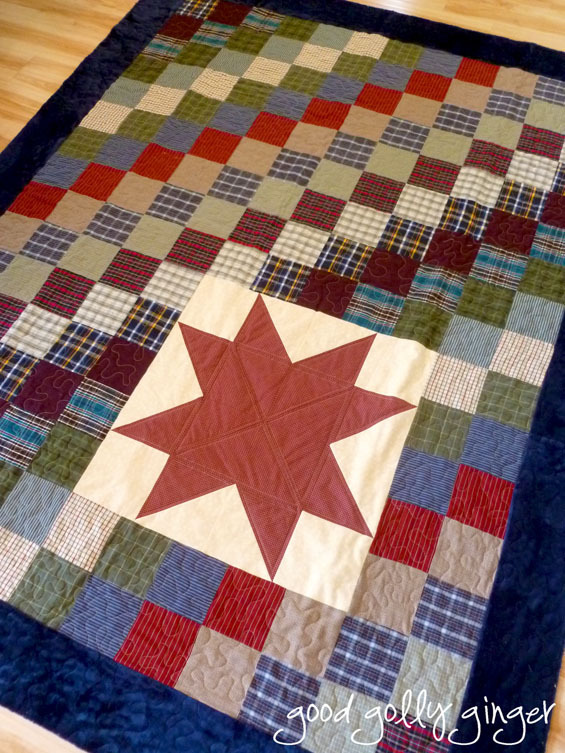 The design comes from a Missouri Star Quilts "Block" publication. Beautiful quilts and quilting and I love our vets!